Hutchinson entrepreneur William Kelly organized the Kelly Milling Company in 1906 and continued expanding his operations into the 1920s. The plant operated during a time of great transition in the milling industry as the process evolved from simple stone grinding by local millers to the mass-production of flour by milling conglomerates for an international market. 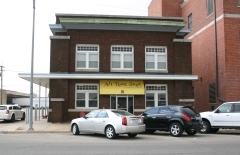 The mill complex includes an office building, warehouse, power station, and garage. It is nominated for its association with early 20th century agriculture and industry. The Norris House was built in 1912 and is a well-preserved example of the classic foursquare house with Craftsman characteristics. 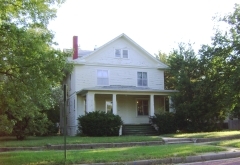 The foursquare, which was popularized through mail order catalogs during the early 20th century, features two stories set on a raised basement with the main entrance approached by raised steps and topped by a low pitch pyramidal or gable roof. 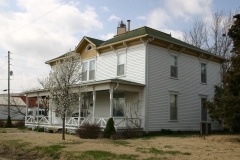 The Norris House is located just south of the Kansas State Fairgrounds, and was one of the first single-family homes built in this neighborhood, which largely developed between 1906 and 1928. 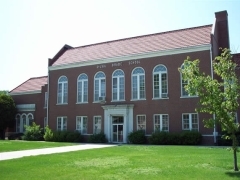 The property is named for its longtime owner G. W. Norris, whose son Fred has been locally memorialized for his military service and death during World War I. The Norris House was nominated as a good local example of a foursquare house with Craftsman details. 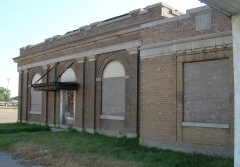 In October 1905, William H. and Mary E. Ranson filed a plat for Medora Junction, a new town to be located west of the junction of two rail lines through this area north of Hutchinson. The Ransons actively developed the new town, building its first hotel and grocery store. 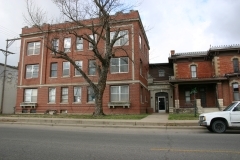 They placed their hotel at the prime junction of Main Street and the Rock Island Rail Line, across the street from the depot. 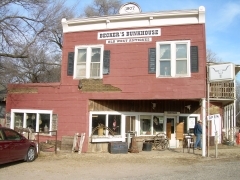 Due to demolition by a later expansion of Kansas HWY 61, the Ranson Hotel is the last original building remaining of Medora Junction. 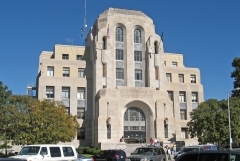 The building is nominated to the National Register for its associations with local settlement patterns and transportation history. 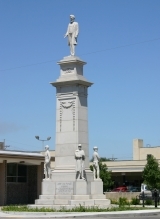 The Grand Army of the Republic (GAR) erected this Soldiers and Sailors Memorial in Hutchinson in 1918. The GAR was a nationwide organization of Union Civil War veterans established in 1866 to perpetuate the memory and history of those comrades killed in the Civil War. This memorial is an example of a multi-figure monument, of which only three were erected in Kansas. The two others stand in Wichita and Kinsley. This type of monument consists of a center shaft overlooking four military figures at the base. 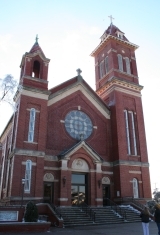 This memorial was nominated for its local significance in the area of military history.